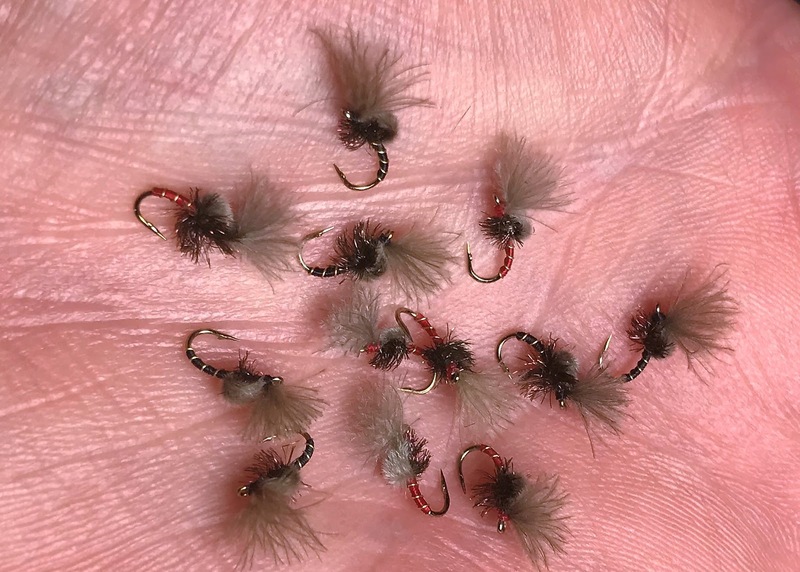 We all know trout love the eggs of trout, salmon and other fish, and it seems they have a particular fondness for them in winter. 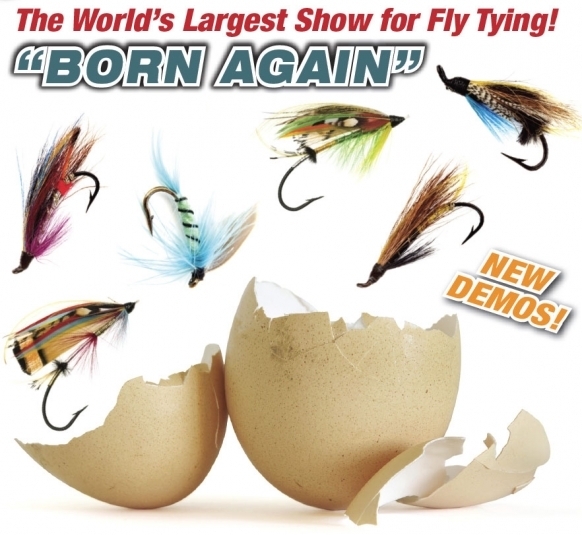 Most of the time anglers fish salmon egg size patterns, of which there are dozens of patterns. 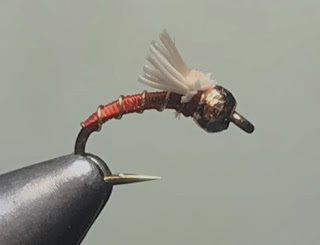 Here Tim shows how to tie a micro egg pattern for times when the larger imitations just don't do the trick. Once you get the hang of it, tying these should be fairly easy; after that, the biggest challenge for many of us will be seeing what we are doing. As usual, Tim's instructions and camera work leave little to chance for those that want to tackle the micro egg. It occurred to me while watching this video that there may be another use for a yellow or orange micro egg. 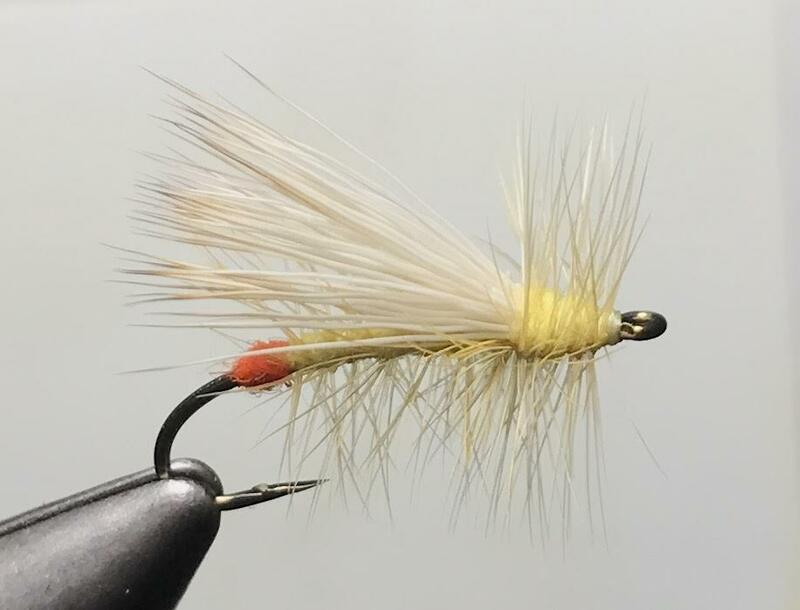 I always wondered if the trout feed on the bright yellow egg sacs that Hendrickson spinners drop on the water. 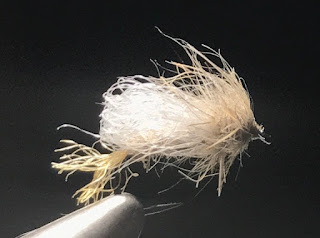 If you have ever seen a Hendrickson hatch, you know the females have bright yellow egg sacs on the end of their abdomens that fall off and sink to the bottom of the stream. 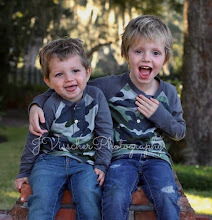 Do you think trout feed on them? It would seem that its an easy meal. I may have to tie a few of these up and try them next spring during a spinner fall.....you never know unless you try. 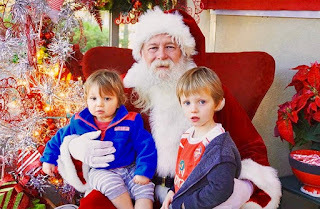 The boys visited Santa today and as you can see they are not too sure about the dude in the red suit with the big white beard. I think they'll be happy they made the trip though after he brings presents to them at their house, our house, and grandma's house! A giant trevally shoots out of the water and plucks a bird from the sky in rare hunting scene captured for Blue Planet II. Any time I can get to Montana its a very good thing, even when conditions make it less than ideal like our trip this year. 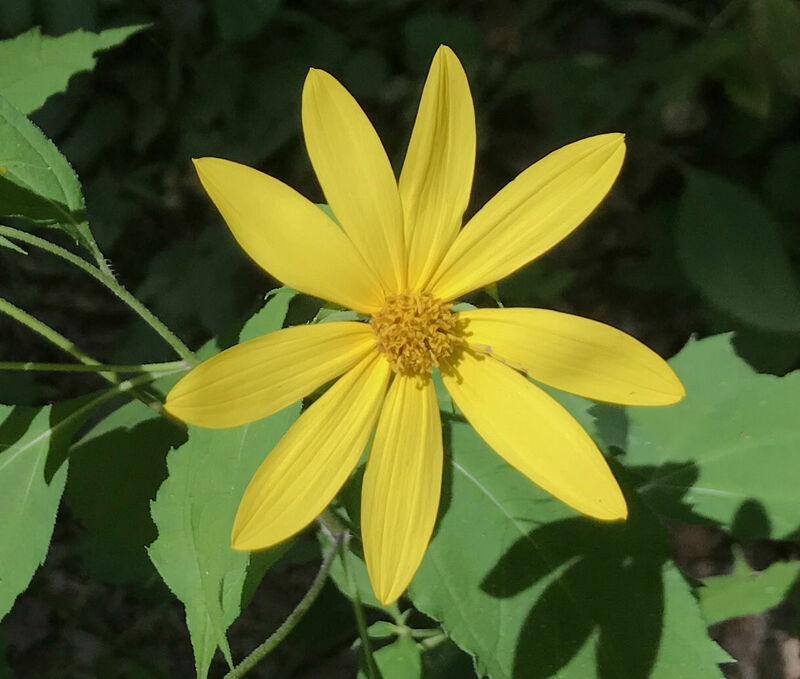 There are so many things that make these trips memorable - the rivers, fish, bugs/hatches, the mountains and pretty much just being there along with the friends we go with. A herd of pronghorn antelope grazing above the Madison River. The dining room table on day one; we waste no time getting down to business. The Gallatin River in the valley. And an old man among his progeny. On Thursday, after 4 straight days of crazy weather, the forecast called for heavy snow overnight and on Friday. Steve had already left on that morning to go tree hunting in the mountains east of Livingston. Steve's other passion is collecting bonsai trees; he's got a serious collection of many dozen trees, some worth more than most folks cars. He goes up into the mountains where the tree line ends in search of 200-300 year old wind and weather stunted evergreen trees, most less than a foot tall. 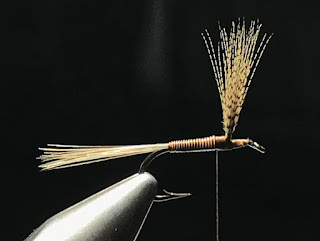 Anyway, Thursday's weather was cold breezy and although we caught fish on the Madison that day, we decided to pack up and head to Bozeman after dinner rather than take a chance on the forecasted storm..
Friday morning Paul left for the airport to head home around 4:00AM. We got up much later and after a great breakfast at the Western Cafe and a stop at Montana Troutfitters Fly Shop, Chris and I headed into the mountains south of Bozeman to fish Hyalite Creek. 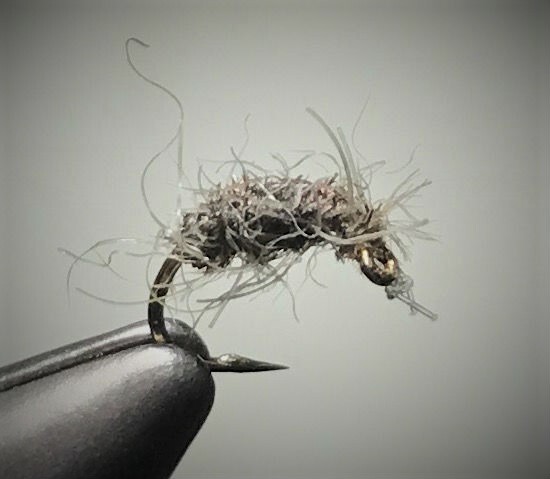 Having fished this little gem in the past, we knew it was full of wild rainbows and some brook trout, and we also were confident that the cloud cover and light showers would bring a good hatch of blue-winged olives. Hyalite creek is small by western standards. Its crystal clear water flows through a beautiful, heavily forested deep canyon around rocks and boulders and over a gravel bottom. We also hoped the canyon walls would keep the wind to a minimum. Sure enough when we got to the first spot fish were rising to blue-winged olives in the tail out of the pool and in the broken water at the head of the pool. 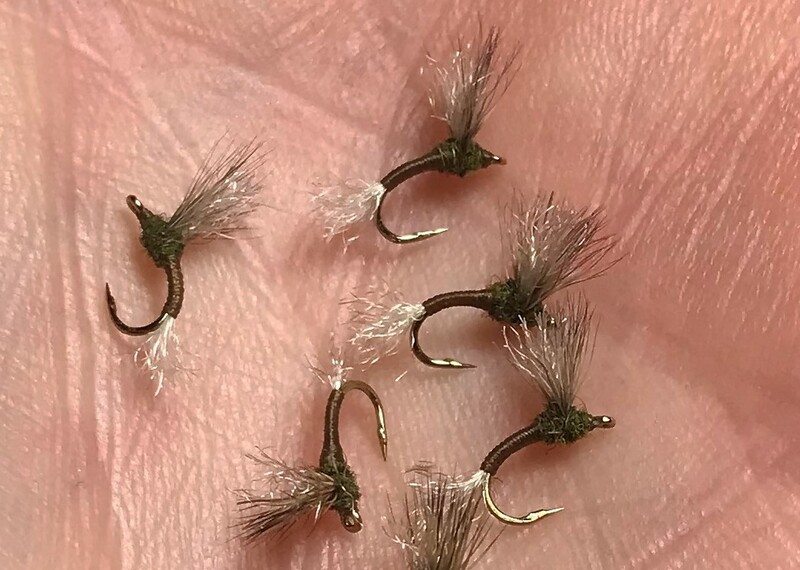 The olives were coming off in decent numbers and were about a size #20, so I tied an olive sparkle sparkle emerger to end of a new, 2-foot long piece of 6X tippet and cast to a rising fish just off the near bank above me. The fly drifted a foot or so before it was taken by what turned out to be a 6 inch brook trout. As the day turned to mid afternoon, the hatch increased and with it fish rose throughout the river for a couple of hours before the hatch subsided as quickly as it ramped up. 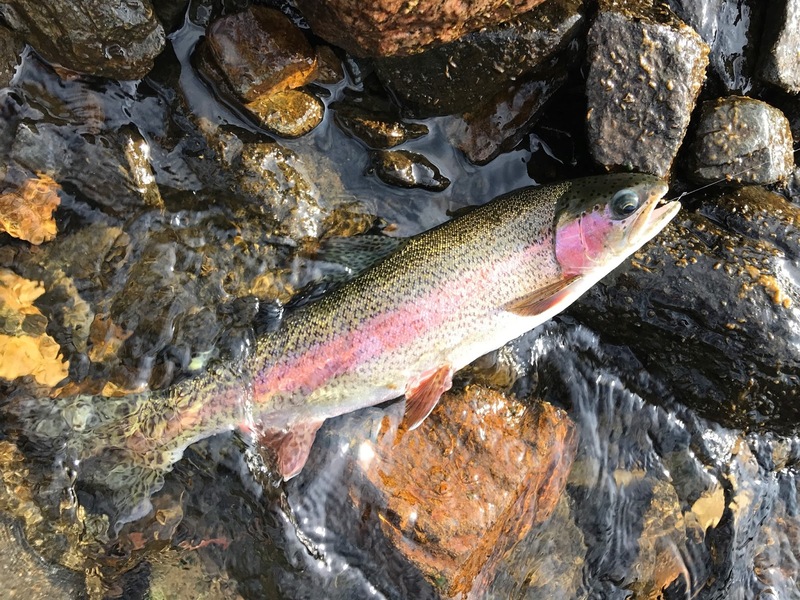 We caught mostly rainbows that averaged 6-8 inches long, but also landed a few that went 12 inches or so. These fish are beautiful and fight hard for their size, especially on the 3-weight I was using that day. On Saturday, we decided to head up to the lower Madison River and fish it just below the lower end of Bear Trap Canyon. It was cloudy with a light breeze and the temperature was in the low 40's. The river here is very different than the 50 mile riffle between Ennis and Quake Lake - it has a more consistent, flatter flow more like that of a tail water river. 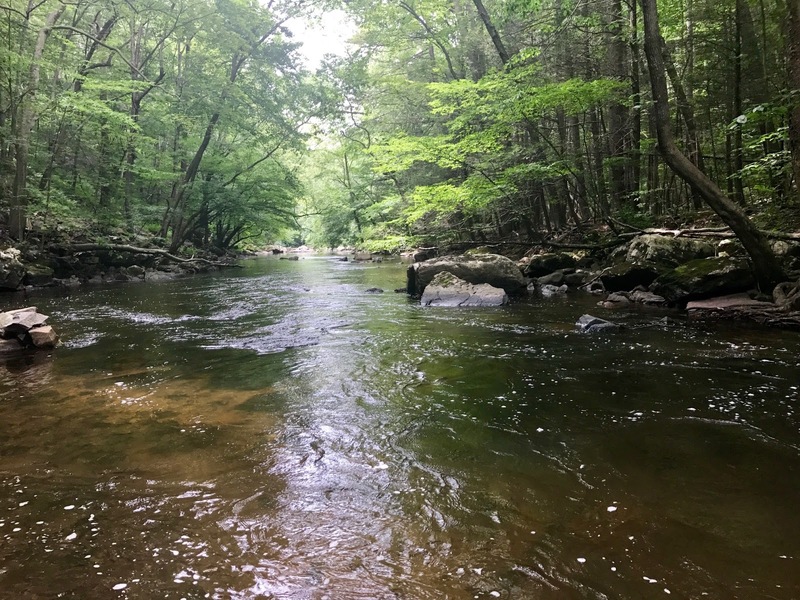 The river bottom is covered with rocks and boulders that break up the flows and provide cover for the trout, but there is very little pocket water and riffles, which is is a challenge when reading the water. There are plenty of trout in the river though. 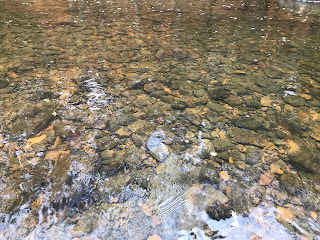 When I first stepped into the river there were a few olives on the surface and as I watched the water surface a single trout rose just below a submerged rock. I focused on the spot and the trout rose again. I had expected to fish nymphs when I rigged up at the car, so I quickly changed over to a couple of feet of 6X tippet and tied on a #20 blue-winged olive cloud emerger. 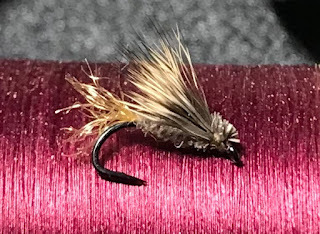 I then made a couple of test casts above me and when everything looked right on the water, I shifted my position and dropped the fly above the rising fish. A nose poked through the water surface a few inches from my fly and took a natural. I cast again, and after a short drift the fish sipped in my offering and after a short battle I landed a nice brown. After that more olives began hatching bringing more trout to the surface to feed on them. Over next few hours fish rose constantly all around me as the water was covered with olives hatching. 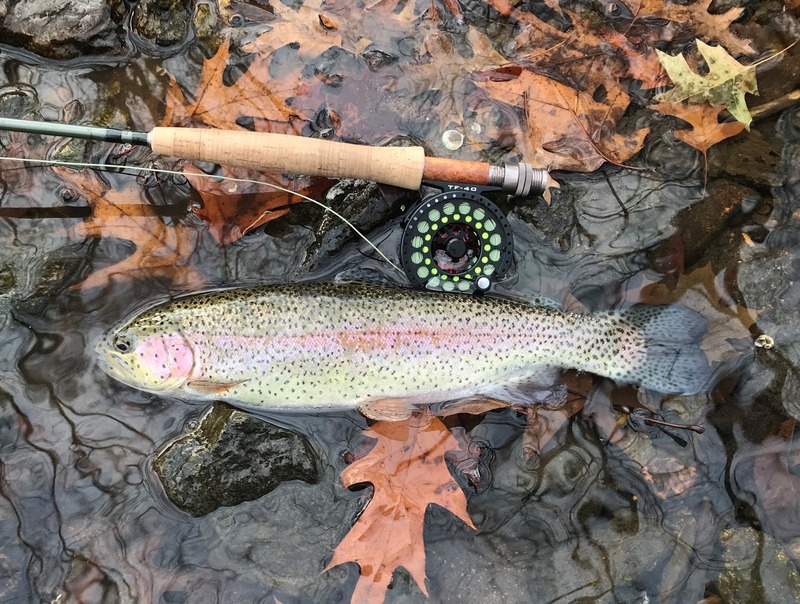 I took rainbows and browns that averaged 13-14 inches with some larger and others smaller. It was the kind of fishing we dream about. 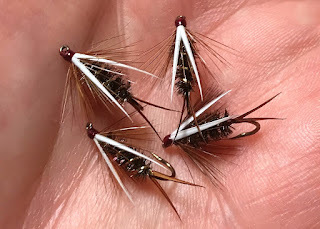 I switched flies between the cloud emerger and the olive sparkle emerger, only doing so when the fly I was fishing got so water-logged no amount of desiccant powder would restore it. 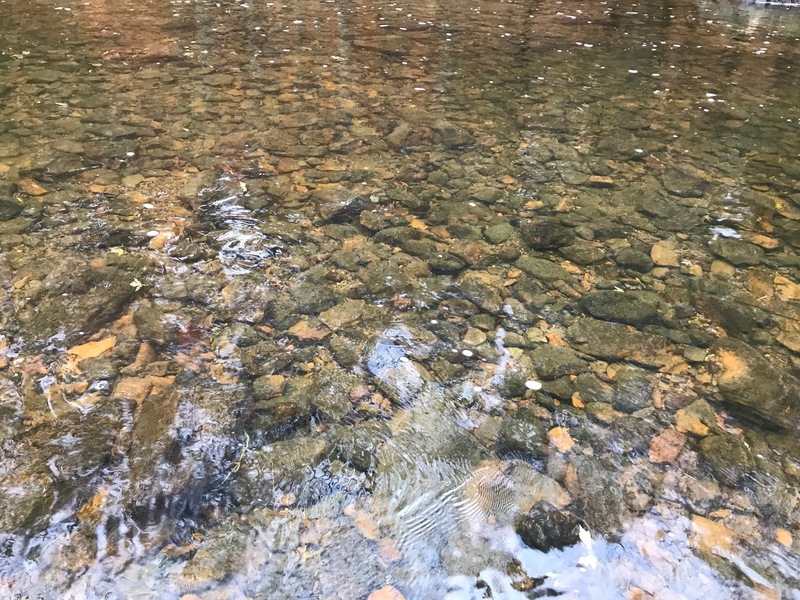 Here's a video of the trout rising all around me that afternoon. The rises were subtle as you can see here and many belied the size of the trout that created them. Eventually the hatch subsided as the sun descended to the west and the rising fish followed suit. As I prepared to called it quits I heard the rich, high-pitched sound of an eagle far up on the mountain across the river for me. 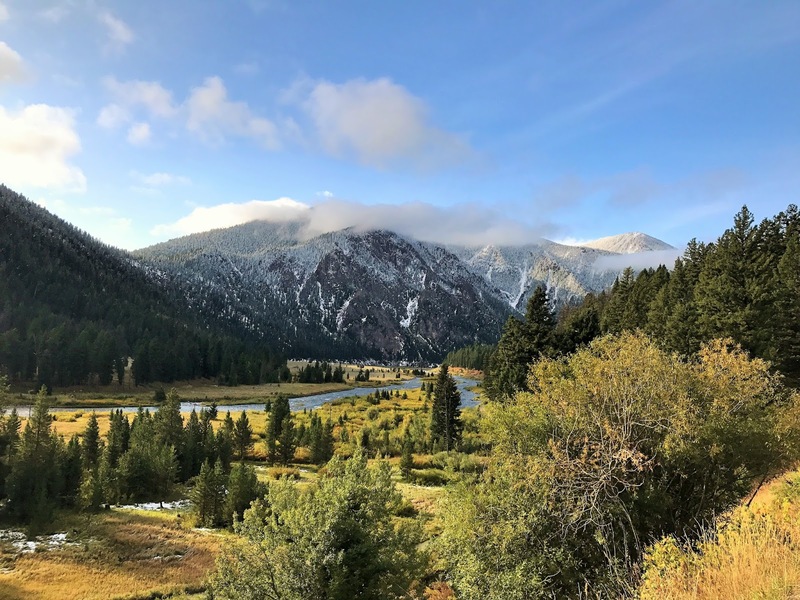 There above a tight stand of pine trees along the highest ridge, a golden eagle circled, powered by the cool, steady breeze that rose up from the valley below. I took that as a signal to be grateful for the week we spent in its home territory and I called it a day. I can still see that eagle in my minds eye silhouetted against the diminishing sun light as it soared with a purpose only known to itself. 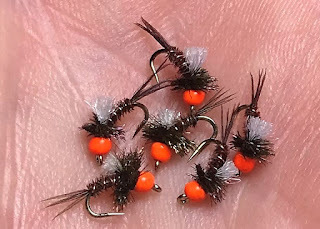 Here's a great pattern that I used for years, as have many of my friends, as tied here by Tim Flagler. The peacock caddis has many of the elements of other effective multi-purpose dry flies - peacock herl body, a deer body hair down wing and grizzly hackle. It works during caddis hatches, as a searching pattern, and in smaller sizes it is an effective flying ant imitation. 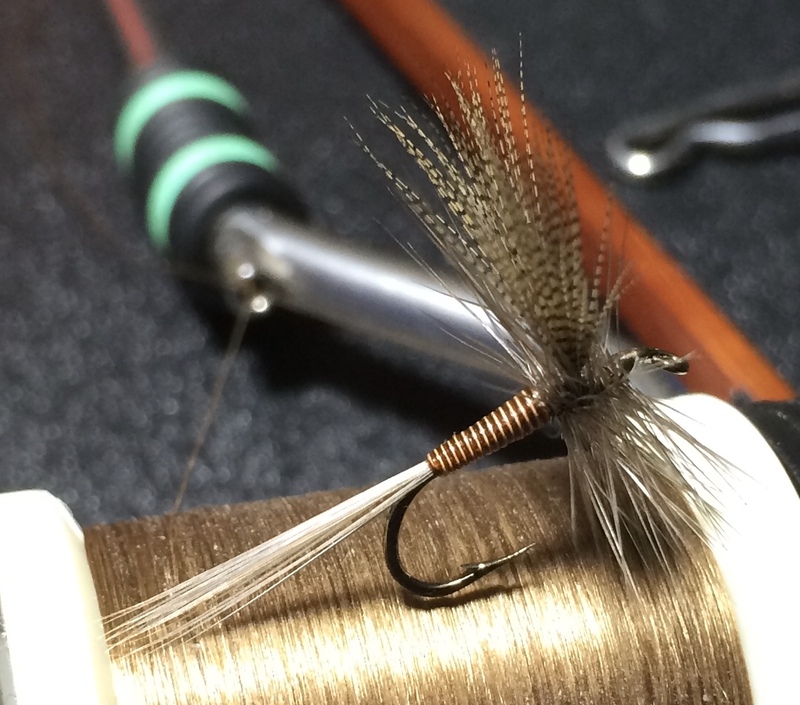 Another variation of the pattern is the use of two hackles - a grizzly and a brown. Either way, the pattern works well anywhere caddis are found. We had early winter weather in September that Monday through Thursday of our trip. When we woke on Monday, it was sunny but quite cold. We went and got breakfast and planed our day.We decided that we would head over the Continental Divide at Raynold's Pass and fish the Henry's Fork in Idaho. The Henry's Fork Angler in Island Park said it was cold over there, but the wind was calm and under cloudy skies. They reported that blue-winged olives had been hatching the last few days along with mahogany duns "paraleps". Of course, by the time we got there it was spitting and a steady breeze moved upriver, but olives were coming off and a few fish rose to take them in broken water. 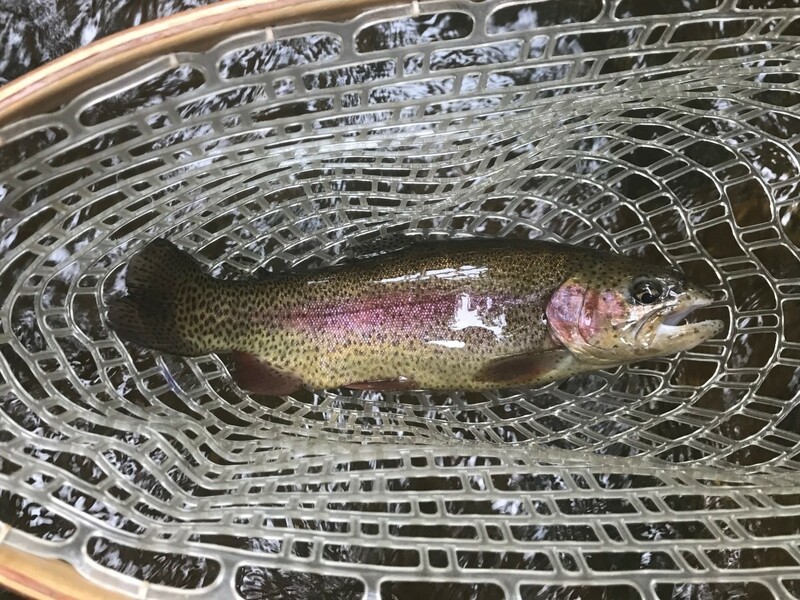 Steve took a nice rainbow early on, but after that it was slim pickings - we did hook a couple before breaking them off in the thick weeds that cover the bottom of the river this time of the year. Here's Paul in zeroing in on a riser. By mid afternoon the mist had turned to wet snow and the wind was became steady, enough to screw up your cast and push your tippet and fly off target. We left to go back to the Madison, while Paul and Steve stuck it out. This was the first day of a weather pattern that stuck around all week. 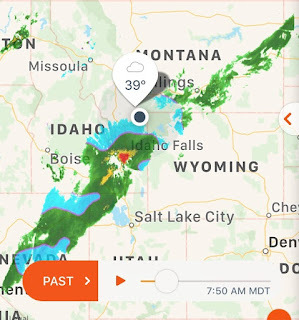 A low pressure system sat over the Northwest and an outer band picked up moisture and drove it in a Northeasterly direction dropping snow and/or rain (depending on the hour) right over the Henry's Fork and Madison Valley just north of there. Tuesday we woke to heavy clouds, snow and freezing temperatures. Here's the view from my room. Again, we headed over to the Henry's Fork, where it was colder with a good breeze and thunder snow. We put up with that for a while before the snow really came down then we blew out of there and went into West Yellowstone to visit the fly shops and grab some lunch. When we got back to the Madison, it was still snowing but not too windy, and we caught a few before dark on olive sparkle duns. The hatch was sparse, but the fish seemed to want to eat every one that floated over their space below. And then there was Wednesday. Not much to be said about hump day; we fished the Madison in bright sun and gale force winds. It was tough, lots of shot on the leader, which more often than not, did no good. 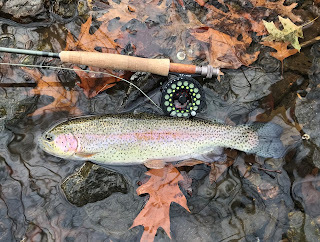 My line, leader and flies spent more time flying like a flag off my rod tip than in the water. 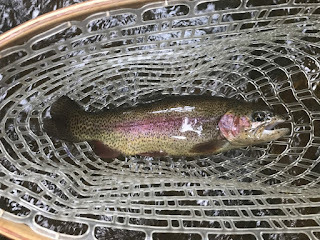 Again, we caught a few fish, had fun despite the conditions and I even finished up the day taking a nice rainbow on a dry. Thursday the wind was down some, but the rain and snow was back. We caught some fish, but again we had to work for every one. 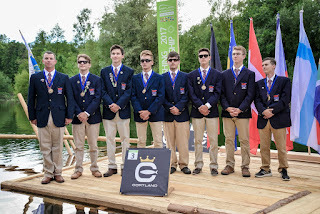 It was a tough few days, but we dressed right and made the most of it. 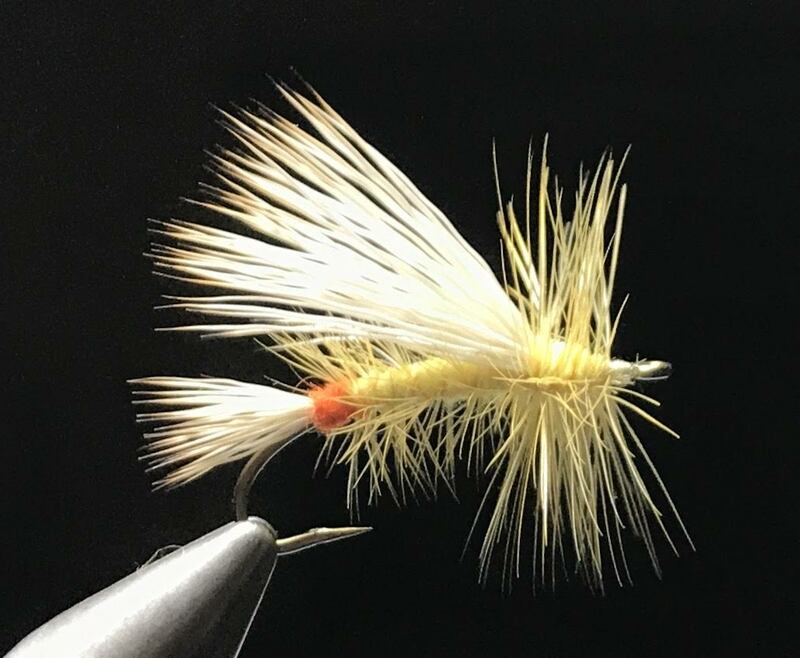 Evenings were always fun as once we ate, we sat around the table for hours tying flies, talking about the day, having a few beers, and busting each others chops relentlessly. A week ago today we returned from an 9 day trip to southwest Montana. 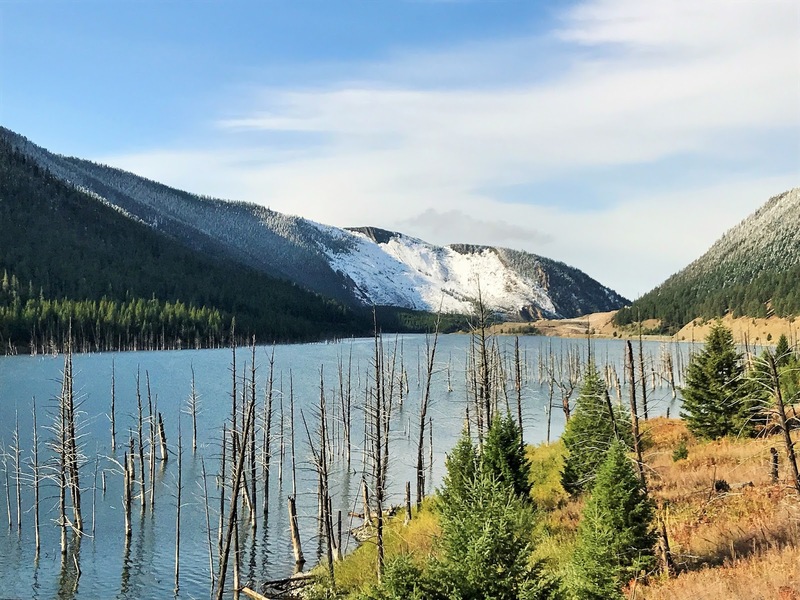 We arrived on Saturday the 16th, and after leaving the Bozeman airport and stocking up on food for the week, we hit the highway out to the slide section of the Madison River. As soon as we got to the mountains, the temperature dropped and the landscape turned white from snow fall earlier that day. The Madison valley was beautiful and very winter like for September. After a two hour drive, we reached the cabin far above Raynold's Pass bridge overlooking the Madison River at the base of the mountain where a massive rock slide occurred during the Hebgen Lake/Yellowstone Earthquake of August 1959. After unpacking and getting sort of settled in, a couple of the guys got geared up and headed down to the river below the cabin. Chris and I drove down to fish a favorite section of fast water above Kelly Galloup's Slide Inn that is roughly across the river from the cabin. At the end of what was a short time on the water, we all had caught a couple of fish. 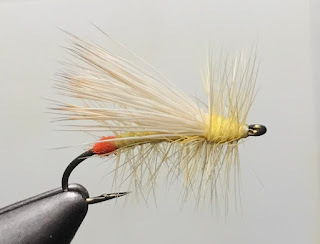 We ate, then settled down to tie flies and talk about plans for the following day. The next day we woke to bright sun and mostly clear skies, and a pretty steady breeze. We made a quick trip to get breakfast between the lakes, and then after couple of stops to photograph the Madison between the lakes and the snow covered slide, we headed back to the cabin. The Madison River between Hebgen Lake and Quake Lake. Quake Lake and a snow covered slide mountain in the background - the snow covered area is where the mountain slid away. That morning all of us fished the fast water, pockets, and long slicks that line the edges of the river, below the cabin. 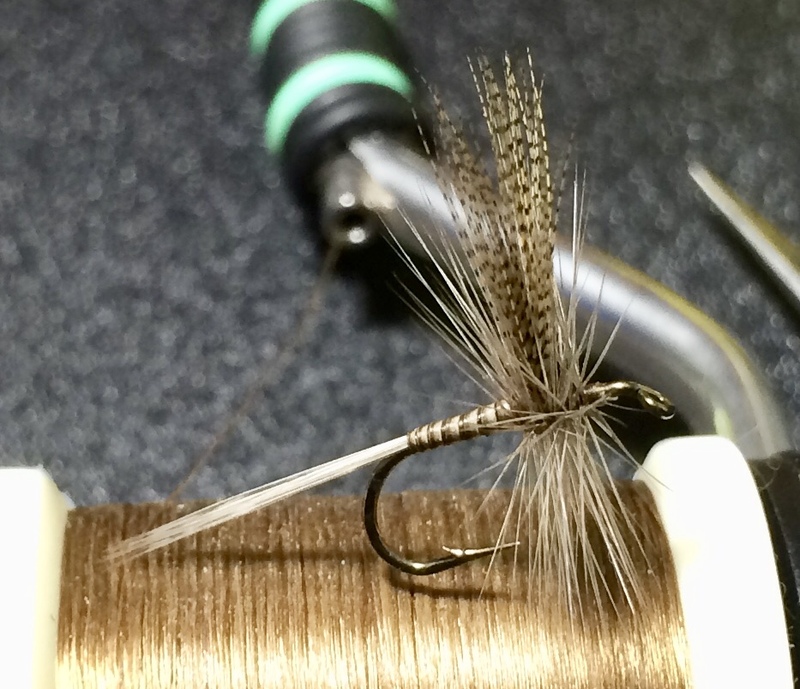 A couple of guys went with streamers, and I fished a dark brown #16 serendipity on a short line and did quite well. All the fish were rainbows that fought hard before being released to fight another day. Later that afternoon, we decided to hit the water around Raynold's Pass bridge where the water, while still fast, flattens out enough behind many of the big boulders that we could nymph or fish dries in the event olives hatched. About mid afternoon, high thin clouds moved over the sun and sure enough blue-winged olives began hatching in numbers, drawing the trout to the surface to feed. The olives were varied in size, some as large as #18 and others as small as #26. 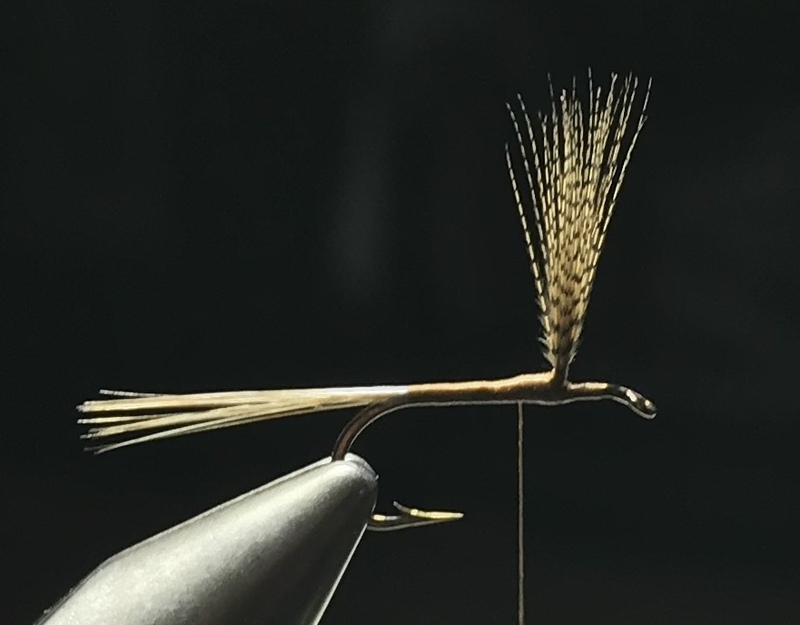 I chose a #20 improved sparkle dun, which I fished on the end of a 12 foot long leader tipped off with 5X tippet. The rises were subtle and quick, barely breaking the surface of the fast moving water. It took a good, accurate cast, with a drag-free drift to get a look or take. 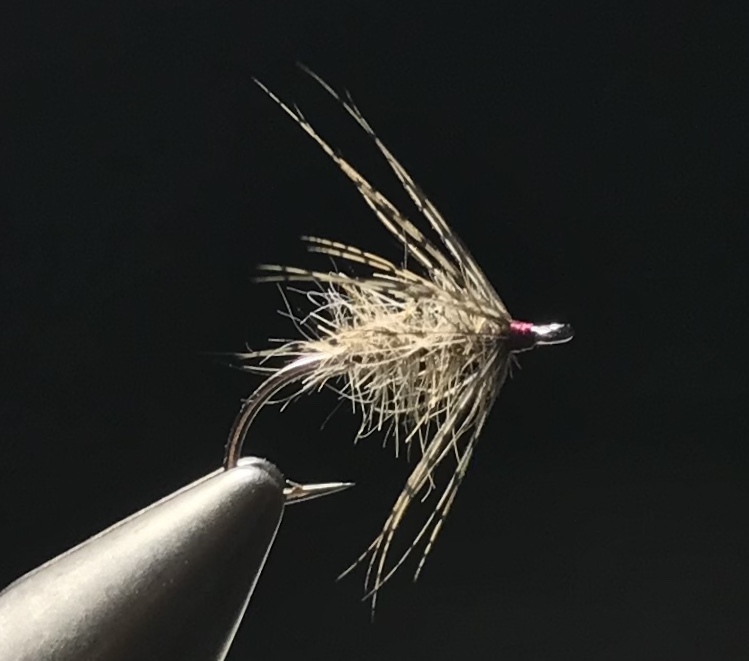 I made many casts onto the fast moving water that didn't hit the spot for every one that did. 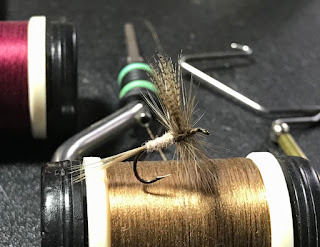 With all the currents and slicks between myself and the fish I was constantly moving a little this way, a little that way, until I could find what I thought was the best drift for each fish. It took lots of line mending and leader tweaking, which was great fun and exactly the kind challenge that takes me to another place and soothes the soul like few other things in life do. 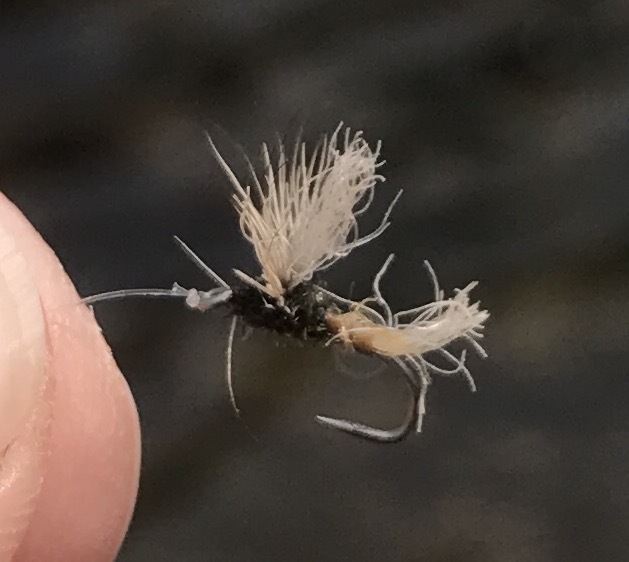 I took as many fish that afternoon/evening as I did in the morning on nymphs, only this time I saw each and every one of my targets. 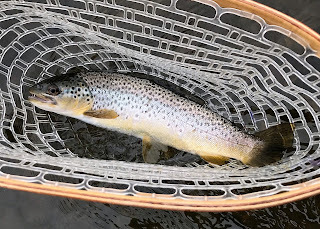 It was a great start to what turned out to be a tough week of fishing thanks to the fickle weather of Montana. More to come, stay tuned.